Our goal for the licensor is to identify the best available licensing opportunities. There are two alternatives to licensing: Patent licensing and enforcement if the patent is being infringed; and Technology licensing which is often referred to as technology transfer. Patent Licensing is often referred to as Assertive and likely requires litigation to enforce the patent owners rights. Technology Licensing is synergistic and often results in a win-win relationship between licensor and licensee. Both of the above provide leverage for the monetization of the company IP assets, to deliver a return on invention. TransactionsIP employs a systematic and comprehensive approach to IP commercialization with its clients. Beginning with a thorough assessment of IP assets, leading to opportunity identification, TransactionsIP provides the technical and business expertise to identify the prospects by providing market and industry analysis, initiate contact with prospects, completely manage the transaction, and negotiate the best possible finalized licensing agreement for our clients. TransactionsIP provides an end-to-end outsourced service that is results focused and highly effective. The following outlines the overall technology licensing campaign phases. TransactionsIP has used this approach successfully with many clients. View more information about IP Commercialization HERE. Intellectual property can be a company’s most valuable asset. But simply owning intellectual property is no guarantee of success. This is especially true among technology-based industries, in which technology developers need to find the most effective ways to leverage their intellectual property, and technology users need to understand how to most effectively obtain the intellectual property they need. Technology licensing is a contractual arrangement in which the licensor’s patents, technology, know how, or other intellectual property may be sold or made available to a licensee for compensation that is negotiated in advance between the parties. It affords owners/licensors a viable means of maximizing revenue, while providing licensees with a cost-effective, lower risk access to the intellectual property of others. But whether licensing-in or licensing-out, the process is a complex one, involving, among other things, extensive market research, identifying prospects to sell or buy intellectual property, negotiating the best possible deal, and successfully managing the relationship. The compensation, or royalties, may be a lump sum royalty, a running royalty (royalty that is based on volume of production), or a combination of both. Patented Technologies are typically offered on an Exclusive, or Field of Use Exclusive, licensing basis. 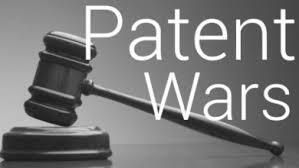 Patent licensing often requires litigation enforcement of the owners patents versus a company which has infringing products in the marketplace. Patent litigation has been referred to as the sport of kings due the cost and time required for a successful outcome in the courts. TransactionsIP can help clients determine which licensing program is best matched to their IP strategy and IP assets. Projects are often based on a combination fee structure that includes a monthly campaign fee and a success fee percentage.